A swirl of colour greets you as you walk into your very own coastal cove. 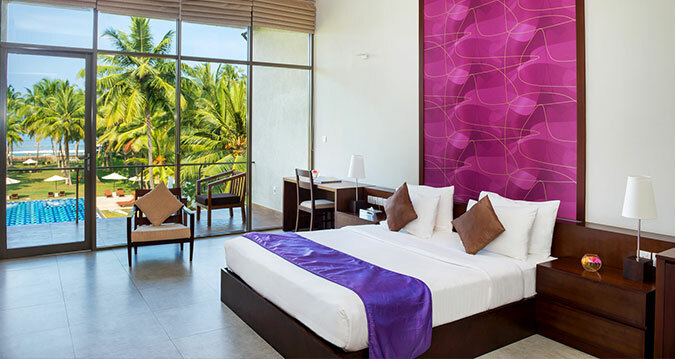 Our 16 Deluxe Allure rooms offer you sweeping views of the Indian ocean as you revel in supreme comfort. Sink into mushy duvets and drift off to slumberland. Share the best snippets of your holiday with those back home off highspeed wifi or enjoy cable TV viewed off an LED screen.